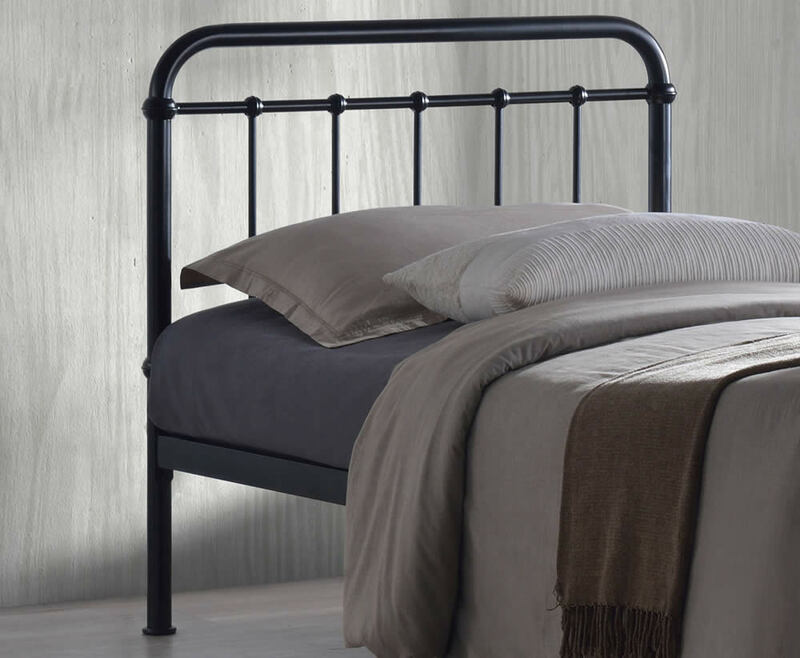 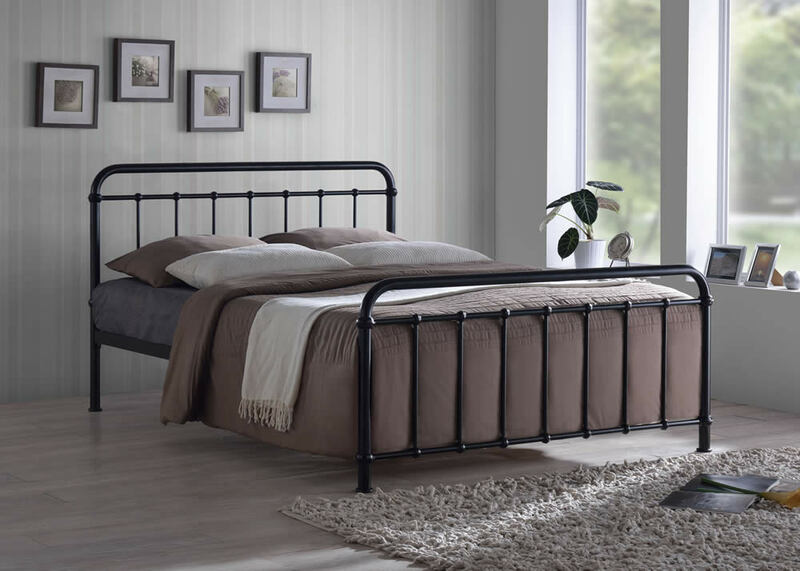 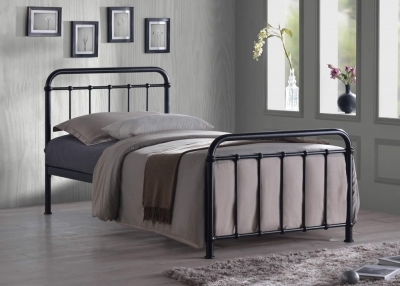 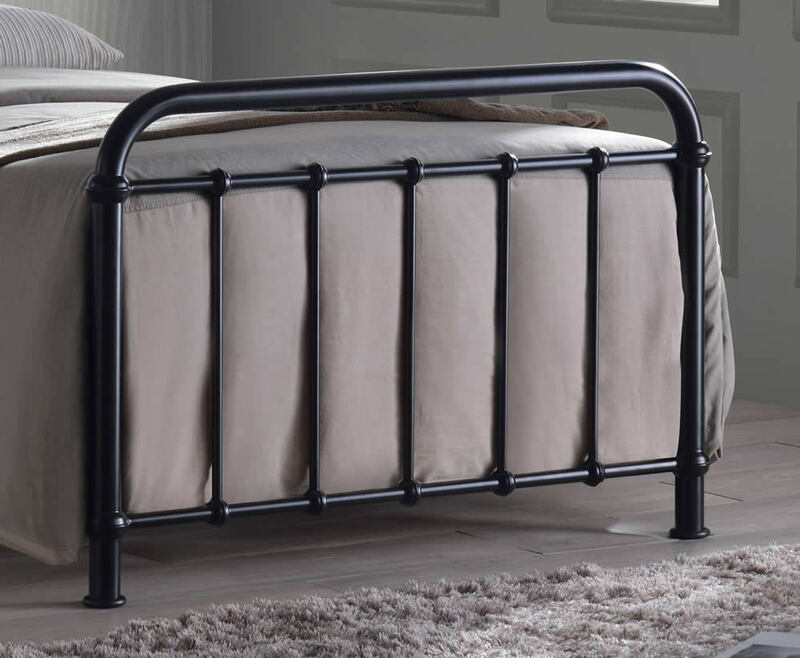 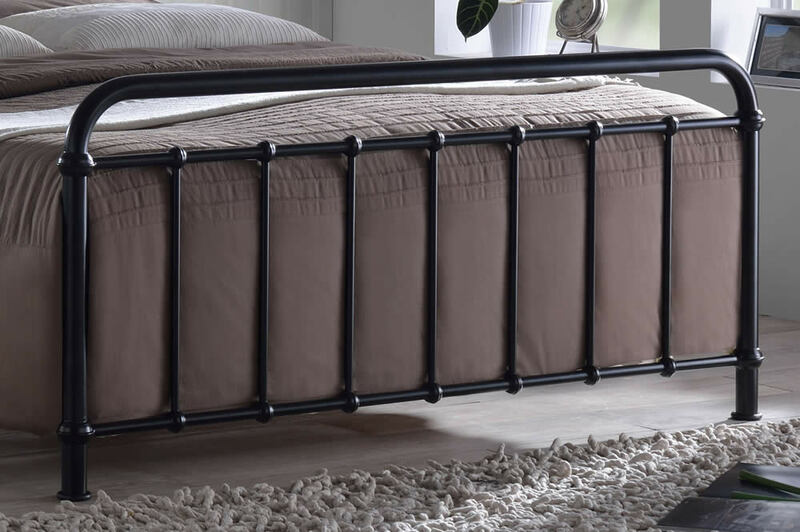 The Time Living Miami black metal bed frame is available in four standard UK sizes including single, small double, double and king size. Featuring a tubular design high headboard and low foot board with vertical and horizontal bar detailing. 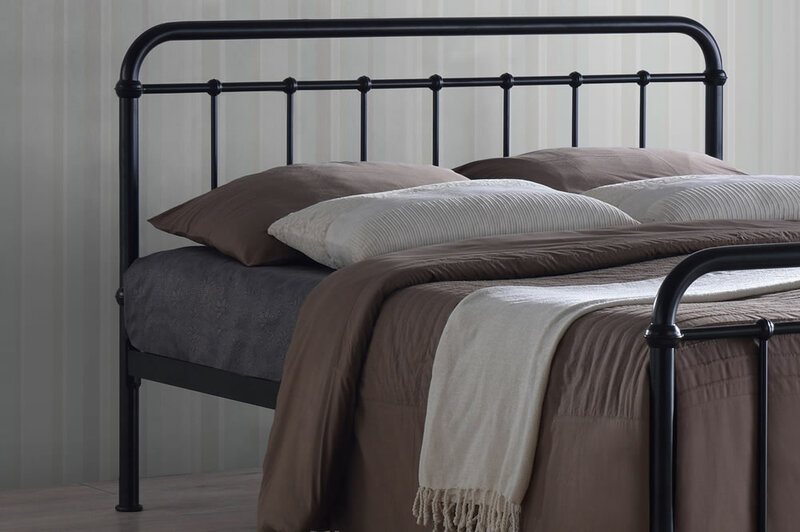 Supplied with wooden sprung slats for a more comfortable mattress base over traditional solid slats.